Historical perspectives on the global view (use a multi-column/row table): - Susana Villanueva Eguia Lis, PhD. Distance Education today has become popular both in the USA and the world because of it low cost and accessibility in all educational levels as Internet became common place. But when did it start? How did we get where we are today? This reflection and accompanying chart will attempt to give a very brief summary overview on the origins and major developments that changed Distance Education from 1500 to 2015. Aggarwal (2007) in History & Scope of Distance Education mentions that informal oral education from the elders and parents had been the only way to learn for many years until the printed book appeared (pp.1). However, the appearance of the printed book was a game changer to the point that Professor at University of Salamanca in Spain organized a protest against the printed book because they thought it threatened their way of earning a livelihood through oral academic presentations (Aggarwal, 2007, p.4). Almost 300 years later, regular mail became so reliable, that two teachers (Hans Hermod and William Briggs) began offering instruction by mail in Switzerland and England by 1880 (Aggarwal, 2007, pp.7-8). The same author describes that in the United States, Universities started offering instruction by mail or what they called “tuition by post” in 1890 and by mid 1939 the new radio technology prompted the creation of “listening-discussion groups” as part of American distance education effort. In 1940 Mexico also started correspondence courses utilizing radio frequencies and post offices (Mexico Case Study, para.1). By 1960 Mexico faced an educational problem. Elementary school children were graduating in large numbers but there were no secondary schools near their homes. Mexico solved this problem by creating “Telesecundarias” which offered secondary school education via television (Mexico Case Study, para. 4). Ten years later in 1970 access to college education was a new challenged which influenced the creation of “Universidad Abierta” (Open University-Distance University) by Universidad Autonoma de Mexico in Mexico City (Mexico Case Study, para. 2). In 1985, USA distance education programs started using a combination of delivery methods: television, satellite one-way video, two-way audio and computer-based education (CBE) (Shearer, 2015, p.81). The creating of Internet browsers with images in 1995 along with the first LMS (Learning Management Systems) started as well. By 2004 when Facebook, YouTube and Web 2.0 appeared they were immediately incorporated as part of collaborative learning in Distance Education (Shearer, 2015, pp. 83). Finally between 2005 and 2015 Open Online Courses appeared such as Cursera and MOOD and now Distance Education has become mainstream (Shearer, 2015, pp. 83). Aggarwal, D.D. (2007). History & Scope of Distance Education. New Delhi, India: Sarup & Sons. First Learning Management Systems appear. Internet browsers with images start (Shearer, 2015, pp. 82). Facebook, YouTube appears along with Web.2.0. (Shearer, 2015, pp. 83). Open Online Courses appear (Cursera, MOOC) and Online Learner is main stream (Shearer, 2015, pp. 83). 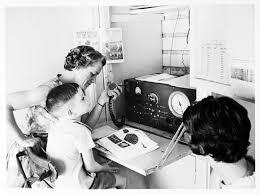 1940-Mexico starts correspondence courses (mail and radio combined). 1960-Mexico's Telesecundaria offers secondary education via Television. 1970's Universidad Autonoma de Mexico (UNAM) starts the "Universidad Abierta" (Open University-Distance University) system. (Mexico Case Study. para 2).